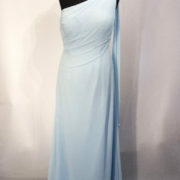 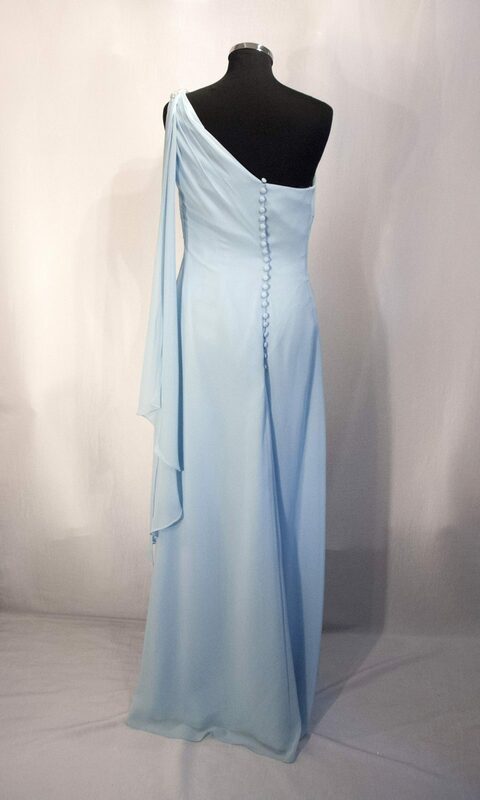 Veromia Bridesmaid or Prom Dress One shoulder chiffon floaty and feminine cut. 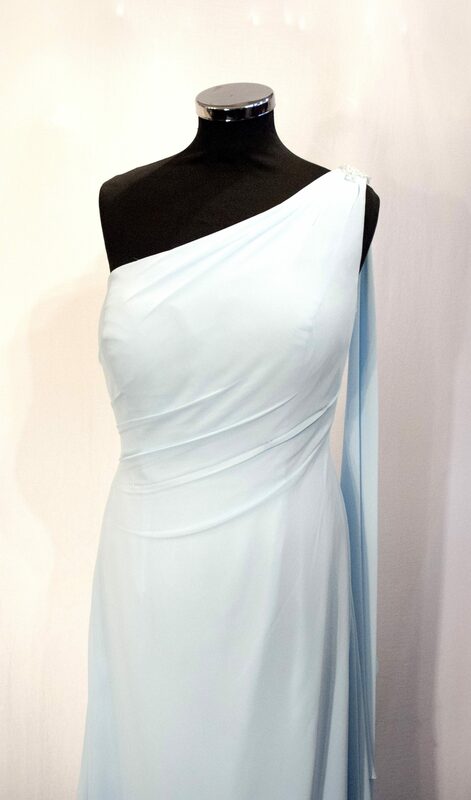 In a very ice blue colour, very on trend with the pastel theme at the moment. 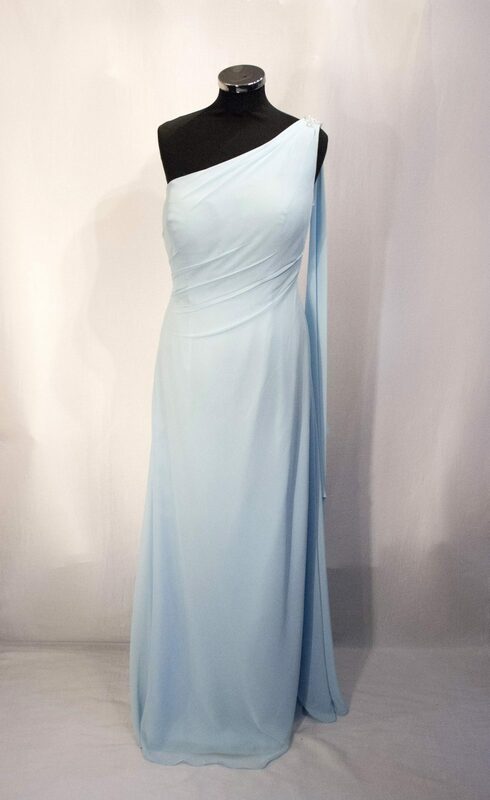 Veromia Bridesmaid or Prom Dress One shoulder chiffon floaty and feminine cut. 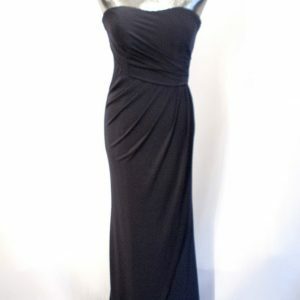 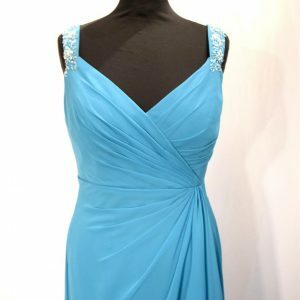 Features a drape off the back of the shoulder to add mystique and romance. 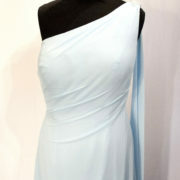 In a very ice blue colour, very on trend with the pastel theme at the moment.